The green graph is the graph of a sinuosid. 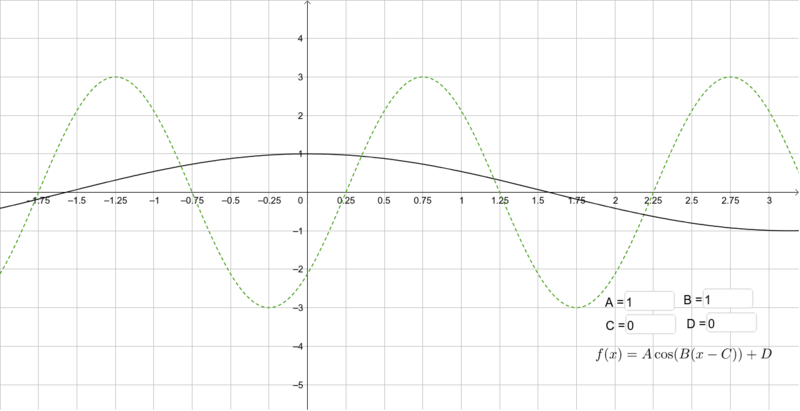 The black graph is the graph of a function of the form f(x) = A cos(B(x - C)) + D using A = 1, B = 1, C = 0, and D = 0. Change the values of A, B, C, and D so that the black graph coincides with the green sinusoid.